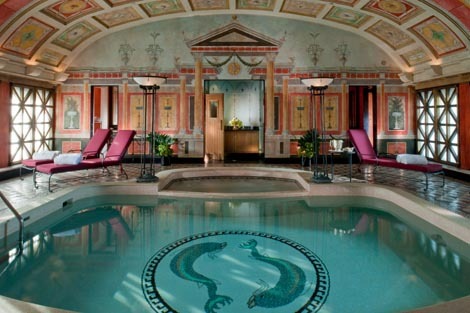 Since 2003, the Principe di Savoia has been a member of the Dorchester Collection, which has seven other European properties and two in the US. The luxurious Milanese hotel opened in 1927, and has always had the business traveller in mind, being in close proximity to Garibaldi, Centrale and Cadorna stations. With the famous La Scala theatre also nearby, the Principe has been a popular choice for actors, as well as visiting dignitaries and other powerful, moneyed people. From Woody Allen and Charlie Chaplin to Henry Ford and the Prince of Monaco, they have all stayed here at one time or another. In recent times the property has been undergoing extensive renovations – the bedrooms were given a facelift in 2012, while the meeting space will likely be done next year (2015). The top floor (ten) was added in 1996 and is where the presidential suite and fitness centre can be found. Upon arriving at the luxurious Principe, doormen are on hand to welcome you and usher you through the revolving doors to reception on the left. 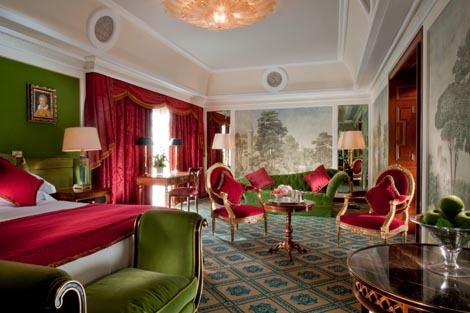 The look and feel is from another era, with swathes of marble, art deco chandeliers, velvet armchairs, heavy drapery, soft, thick, springy carpets, polished brass and inlaid wood. The corridors even have hand-painted walls made to look as if they are covered in Damasc silk (they were originally but had to be stripped off as they were a fire hazard). On Piazza della Repubblica, backing on to the city’s new Porta Nuova financial district, where the 231-metre-tall Unicredit tower rises up from the skyline. The hotel is 8km from Linate airport and 50km from Malpensa airport. The décor in the bedrooms varies depending on the floor and the category, but all are beautifully attired in expensive fixtures and fittings. Entry-level Classic rooms start from 27 sqm (with a double bed) and include amenities such as Acqua di Parma toiletries and twin sinks in the bathrooms, Samsung TVs and minibars with drinks, snacks and sandwiches in. They also provide guests with free basic speed wifi (€19 for 24 hours at high speed), 24-hour room service and a free limo to the city centre. I was staying in a 46 sqm Ambassador Junior suite, which was decked out in rich purples, ochre, plum silk and brown wood panelling. It wasn’t to my taste but felt incredibly comfortable, what with the enormous bed and fully furnished living room with squishy sofa and leather-topped workdesk. 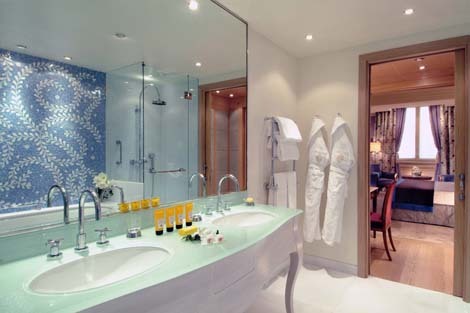 I particularly liked the spacious white marble bathroom with a separate tub and walk-in rainshower. Although there were two windows that opened to let in fresh air and offer views of the city and mountains beyond, the triple-layer curtains were so heavy and bulky, much of the light was blocked out. Higher category suites offer more space and more decadent features – think chromatherapy showers, spa baths, butlers, terraces, valuable artwork, dining rooms, grand pianos and even a Roman-style swimming pool in the Presidential (available from €11,000 a night). 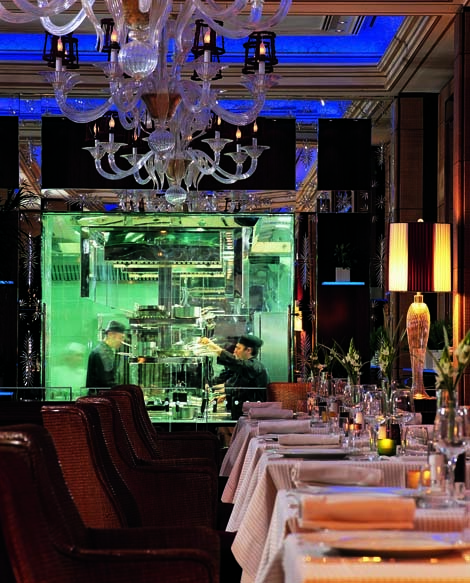 I had a lazy dinner at the fine-dining Acanto restaurant one evening, which is festooned in Murano glass chandeliers, mirrored walls and tables under heavy white cloths. Outside is a garden for al fresco dining in warmer weather. The kitchen is headed up by executive chef Fabrizio Cadei, who prepares seasonal European and Italian cuisine. As you’d expect, service is superb and the food of high quality. In the morning, a huge breakfast buffet is spread out, with everything from pastries to exotic fruits. There is also an à la carte menu for eggs Benedict and the like. I overheard a woman next to me asking for freshly squeezed passion fruit juice, which wasn’t listed, and the waiter happily obliged, asking her how she had been since her last stay. The Principe is a great choice for events, with 11 lavishly decorated spaces of varying sizes to choose from. Most are on the ground floor along a corridor to the left of reception but some are on the lower level. 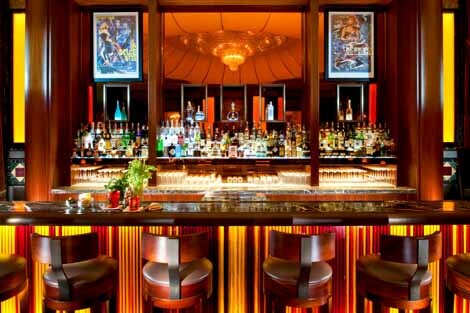 All but Cristalli and Vespucci have natural daylight, and several rooms can be combined to create larger venues – the biggest can host 700 people for cocktails. More compact options include Marconi for 36 delegates theatre-style and Marco Polo for 30 in a boardroom layout. There is a staffed business centre on the lower level open from 7am-12am with two PCs. 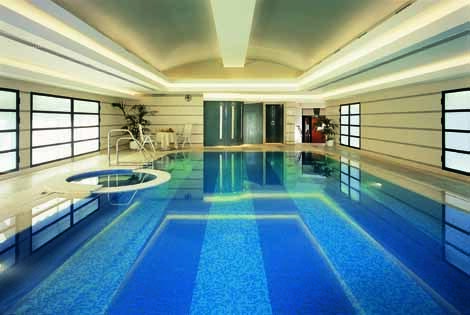 On the tenth floor is the fitness centre featuring a 150 sqm heated pool, saunas, Turkish baths and massage tubs. 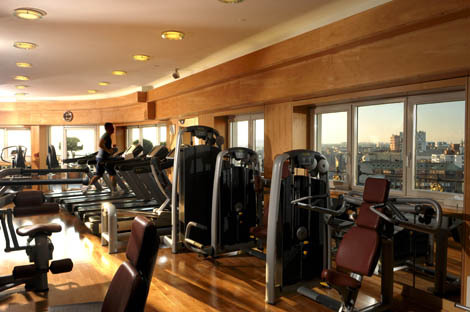 There is also a spa with six treatment rooms, an outdoor terrace, a bar for healthy snacks and drinks, and a 120 sqm workout space with Technogym machines and great views of the city. Facilities are open Mon-Fri from 5.30am to 10.30pm, and weekends from 7am to 10pm. The pedestrianised Porta Nuova district would be good for jogging. 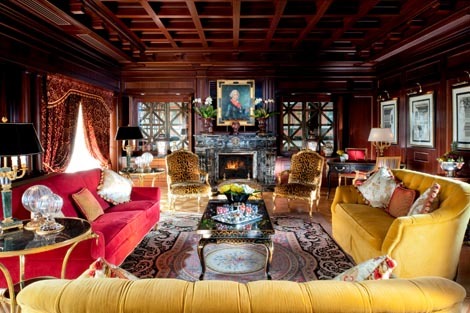 The Principe is one of the most expensive hotels in the city but you get what you pay for. 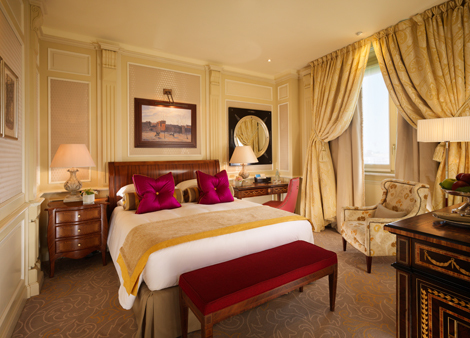 Although it has been recently revamped it retains the look and feel of 19th century European luxury – there is nothing minimalist or understated about it. The hotel enjoys an excellent location right next to the new financial district and is well set up for business travellers. HOW MANY ROOMS? 257 rooms and 44 suites across 11 categories (Classic, Deluxe, Premium, Mosaic and Executive rooms, and Ambassador Junior, Ambassador, Principe, Royal, Imperial and Penthouse suites). HIGHLIGHTS The lavish décor, Acqua di Parma toiletries, choice of meeting space, and the top-floor pool and gym with city views. The service is also top-class. 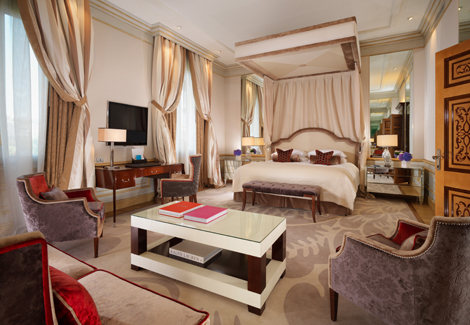 PRICE Internet rates for a midweek flexible stay in February started from €270 for a Classic room.